12th October 2015 : Langar inside the mosque! Yes, you read it correctly. 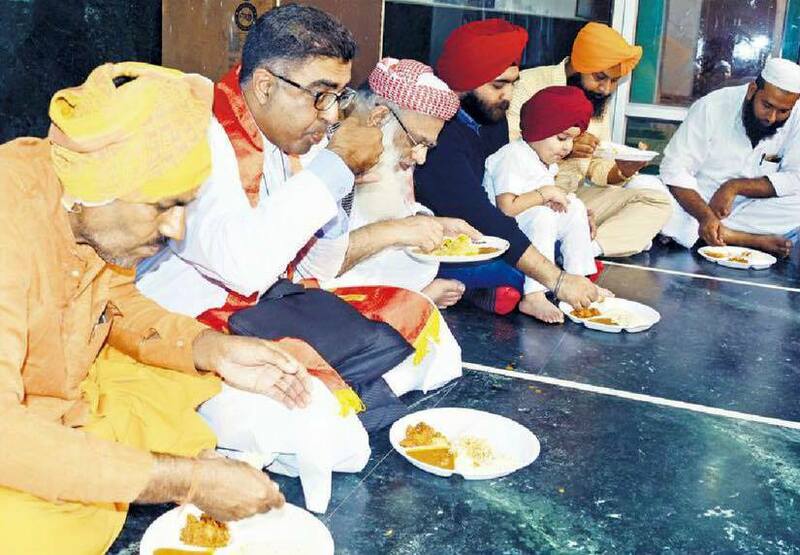 An interfaith Sikh Langar was organised inside the Jama Masjid Mosque, Ludhiana to celebrate International Langar Week.Representatives of all different religions joined in and served langar to the students of Madrassa at Jama Masjid. The principles of Langar were also discussed with those that attended! An absolutely amazing day full of Guru’s kirpa! The Sikh Press Association organized the event in association with Basics of Sikhi.